Kingdom has got some solid zombie action set-pieces, the undead having more in common from the ones in World War Z (very fast, sped-up incubation period, etc) than the classic version of Romero. More than being pivotal substances employed for horror genre exercises, vampires and zombies provide some interesting commentary about class. The meaning behind these deadly creatures are largely familiar: the suave, blood-sucking vampires exaggeratedly typifies the elite ‘one-percenters’; whereas the capricious, hungry horde of undead are a cartoonish depiction of the lower-class. Such class-related viewpoints have boosted interesting mash-ups. Seth Grahame-Smith’s novel Abraham Lincoln: Vampire Hunter (adapted into a movie by Timur Bekmambetov) cleverly intertwines facts of Lincoln’s life with an intriguingly manufactured spectacle of war against the vampire ruling-class (Grahame-Smith also took canonical literature like ‘Pride and Prejudice’ and introduced zombie mythos to it). Elsewhere, we have had Max Brooks’ World War Z, a novel that perceived (fairly realistic) geopolitical ploys after a zombie outbreak. Comparatively, the Zombie sub-genre has had some interesting reworkings in recent literature and cinema than the Vampire sub-genre (few exceptions being Justin Cronin’s ‘Passage’ trilogy). Basically, the ingredients and social commentary attached to zombie flicks (or books) have proved to be more flexible. Right from the days George Romero’s Dawn of the Dead (1978) gained a cult status, cine enthusiasts were divisive on what the undead symbolize. For instance, the undead roaming around a dilapidated mall in ‘Dawn of the Dead’ is considered to be a sharp critique of the consumer culture. But the vigilante streak found throughout zombie films is seen as an endorsement of gun culture, i.e., to accumulate firepower and shoot the trespassers rather than wait for intervention from the state. Whatever the varied interpretations on undead masses are, the zombie threat is consistently producing genuine as well as fresh horror-spectacles. 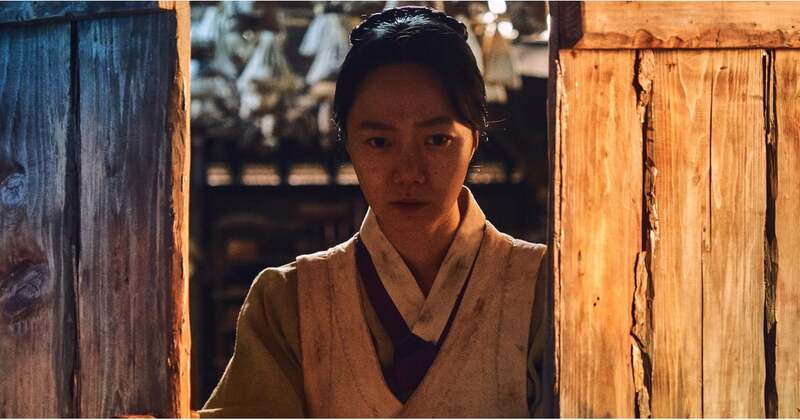 The Korean Netflix series Kingdom (2019–) is yet another layered drama to examine a conflicted society by mixing in an apocalyptic zombie outbreak. The six-episode long first season of Kingdom is created by writer Kim Eun-hee, who has adapted his own popular webcomic ‘Kingdom of the Gods’. Although originally planned to be made into a webtoon, Kim Eun-hee has struck gold by turning this into a well fleshed-out live-action drama. 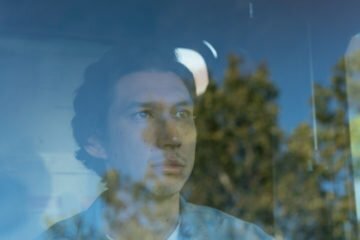 With top-notch production values, wonderful actors, and richly detailed action, the series went well over the planned budget. However, the audience’ positive response has already made Netflix renew the series for a second season. Kingdom is set in the medieval Joseon period in Korea. It opens with hushed news of king gravely afflicted with smallpox. A doctor and his young assistant enter the king’s chambers to treat him, which ends up on an eerie note (the young guy is mauled by ‘something’ behind the screens). Meanwhile, posters are plastered all over the capital city, Hanyang that the king is dead and it also calls for an uprising of the masses. The young pregnant Queen, Cho (Kim Hye-jun) and her power-mad father, Cho Hak-ju (Ryu Seung-ryong) of the ruthless Hae-won Cho clan initiate a crackdown on the dissident scholars who are responsible for the ‘king is dead’ posters. It is hinted that the Hae-won Cho clan has slowly eroded king’s power over the years, and looks to occupy the throne through the queen’s soon-to-be-born child. But the immediate obstacle to Cho Hak-ju’s wild ambitions is the Crown Prince Chang (Ji-Hoon Ju), who although was born to a concubine is the king’s first son (and approved as the legitimate heir). The prince’s suspicion on the nature of his father’s illness increases when he is barred from entering into the King’s palace (by the Queen). The Hae-won Cho members also start pressurizing king’s advisers to bring treason charges on the prince (to name him the mastermind behind the ‘posters’). Acknowledging that it is the right time to leave Hanyang, the crown prince journeys to the provinces (with his loyal bodyguard) to seek out the physician who treated his father. Things turn grave when the ‘infection’ afflicting the king spreads to unsuspecting, hungry villagers through the corpse of physician’s young assistant (how the villagers catch the ‘infection’ leads to one extraordinarily chilling moment). Kingdom has got some solid zombie action set-pieces, the undead having more in common from the ones in World War Z (very fast, sped-up incubation period, etc) than the classic version of Romero. Writer Kim Eun-hee also brings about few changes in zombie conventions, like the ravenous horde only rising up after dark and hibernating during the day (like vampires? But a late plot revelation lays out something different and more complex). The most kinetic set-piece is clearly the madness that unfolds inside Dongbae village, the plague spreading from noblemen’s dwellings to the impoverished quarters. While zombie plague is utilized as the juggernaut dominating the plot structure, Eun-hee also does well in interlacing RR Martin-esque political intrigue as the fight for throne escalates. There’s a good dose of black-comedy, particularly when it comes to the depiction of fiercely class-conscious noblemen. The flaws in Kingdom rests in the execution of mid-portions (episodes 3 &4), which seems to be going nowhere (only cranks up unwanted melodrama) and repeatedly touches upon plot-points already established (Cho Hak-ju’s irate reactions and intimidating stares gets tiring beyond a point). The performances are engaging enough, yet the secondary characters are largely uni-dimensional (Doona Bae as a loyal physician Seo-bi juggles between expressions of fear and gratitude). Even prince Chang’s inner conflict is only tenuously hinted, not deeply explored (hope it’s well done in the next season). Of course, some of the plot revelations in the 5th & 6th episode would snowball to bring in huge impact in the 2nd season proceedings. But in the first season, the drama bits gets a bit stale (especially in the middle) compared to the superbly choreographed and shot zombie chase sequences. The social commentary, however, remains intact throughout the season. The oppression and constant migration of the landless poor (due to famine) are rightly demonstrated as the fuel keeping alight the always-inhumane monarchs’ status quo, and the zombie threat only heightens the inherent class-based tensions. 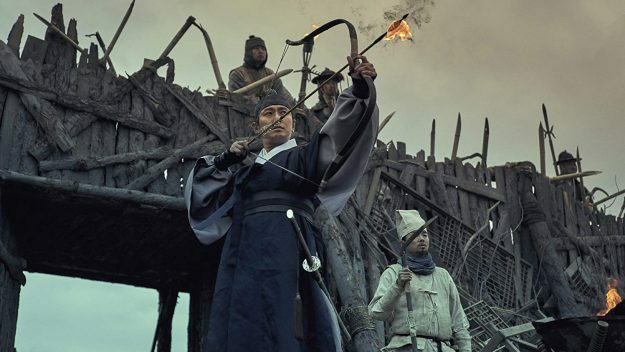 Overall, the season 1 of Netflix’s original Korean series Kingdom tunes up the undead craze to good effect and promises to be our next big, gloriously violent horror fix.